Each day this week, we’ve recapped some options trading success, along with generating a fresh idea. Our streak of success continued yesterday morning, as we brought yet another new set of options ideas to the table, and once again, were met with solid single-session success. We targeted the DAL Weekly $49.50-51.50 Calls after a solid beat on earnings, and are pleased to report that every single contract contained within that selected range produced multi-bag gains, as it has been with our other earnings related ideas from both this and last week. 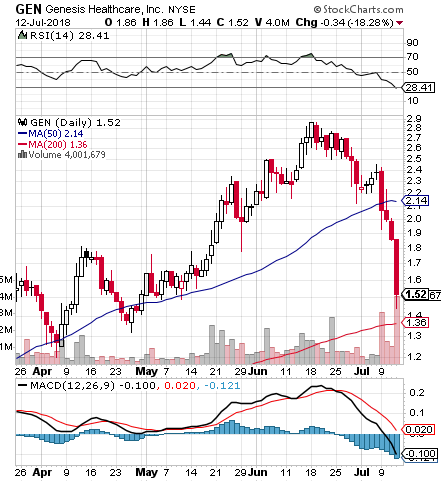 We would like to place GEN on bottom watch this morning, after taking notice of the chart setup on our routine scan this morning. As you can see from the included snapshot, we have a number of factors contributing to the stock’s attractive bottom setup. The stock has been falling sharply all week, cruising down toward its 200DMA at an alarming rate. 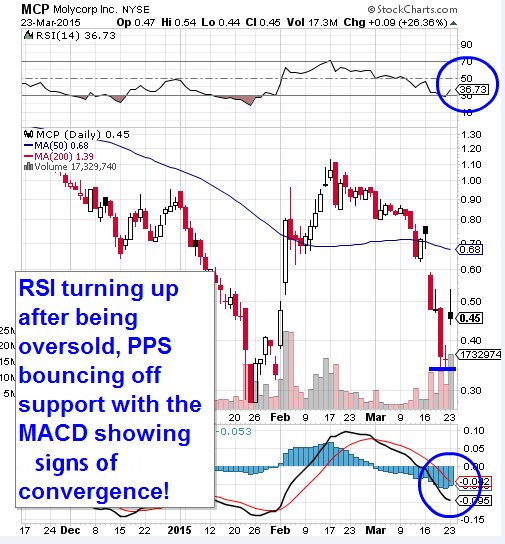 Additionally, we have a MACD which is exhibiting unsustainable downward divergence, and an RSI indicating the stock has just entered extremely oversold territory. This is exactly the sort of setup we look for in potential bottom bounce plays, and we’re going to slot GEN for observation in coming sessions to be ready for that eventuality. Our first experiences with CYBR were good ones, when we successfully called a couple of potentially lucrative options trades around the middle of last month. It was in our report from February 13ththat we targeted CYBR $50 and $55 Calls, and that day we saw moves in those contracts of 72% and 165% respectively. We flagged CYBR once again yesterday, which had previously been under several weeks of consolidation, yet was gapping up in the premarket. The stock did well in reversing its path, trading in a range from 50.79-55.03, and holding the majority of those gains into the close. 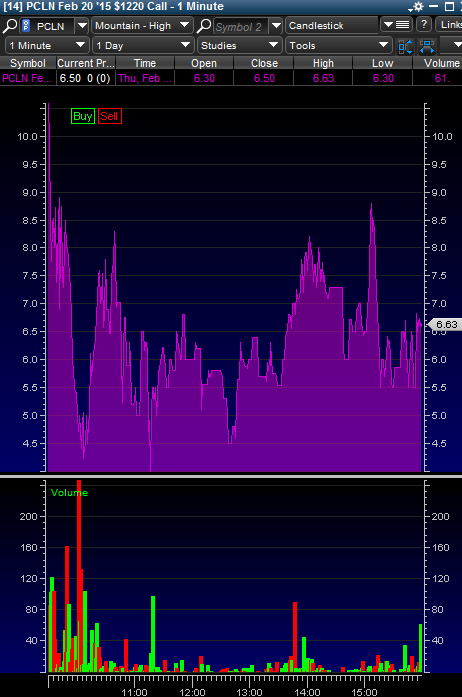 Our current options idea is going to be the 04/17 $50 Calls (Closed at 6.60 yesterday). Should CYBR reach its way back to the $60-level anytime in the next few weeks, the gains we see in those contracts will be quite substantial. 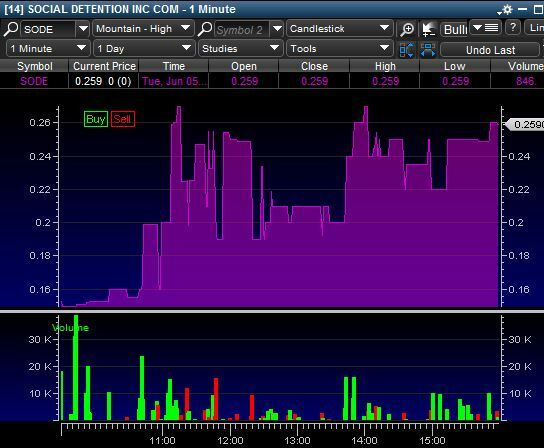 MCP appeared in yesterday’s extended watchlist and demonstrated a reversal of its own. We’re going to place MCP on more intensive watch as the week progresses, as it has the markings of a potential bottom play. We’ve illustrated some of the key characteristics of the chart below, which appears to be gearing up for what could be a big swing. The stock ran well over a dollar at the beginning of last month, so the potential for rapid gains has certainly been demonstrated. We’ve also got an eye on MEIP after the stock was crushed down to a 52-week low yesterday, following the company’s announcement of the failure of its cancer drug in middle-stage testing. A single-session depreciation on the order of 70% is the hallmark of one heck of a knee-jerk reaction, and the stock appears to be gapping up slightly this morning, so we’ll be on the lookout for a recovery in MEIP shares in coming days. After honing in on PCLN options last week as the Expedia/Orbitz buyout was calling massive attention to the sector, we were able find significant gain opportunities. This week, we were treated to continued upward momentum courtesy of Priceline’s earnings release, and the chances to profit have once again been plentiful. At the low end of the spectrum the $1180′s traded in a daily range from $24-42, an intraday increase of 75%, while the action closer to the money, like the $1220 Calls, was even more intense. As you can see on the screenshot below, there were multiple swings in those contracts. They first dipped to a low of 3.35 before exploding to 8.30 (+147%) followed by another pullback to 4.00 and a subsequent run back to 8.80 (+120%). Another big performer from yesterday’s pool of tracked stocks was ASTI. After tagging it in our premarket extended watchlist the stock registered an early low of 1.36 and ran hard in the last hour of trading, touching a high of 2.08. That represented an intraday increase of 53%, and it came on roughly 16x the 3mo. average volume. Also standing out on yesterday’s report was CLRX, which ran hard out of the gate and made an initial move from 1.67-2.74. That worked out to a spike of 64%, also on heavy volume. After so much upward momentum, the overall markets could be looking at a pullback today, and even amid a hefty downturn there should still be options opportunities on the table. If that is indeed the case we may be taking a look at potential trades of SPY $210 Puts, or $22 UVXY Calls.